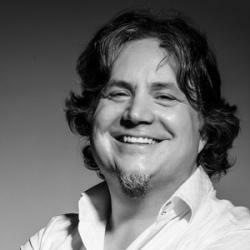 Doyle Buehler is world-recognised business strategist, author and speaker. He has personally launched numerous successful companies, breathed new life into struggling businesses and helped turn the fortunes for his many clients across the globe around. Seeing the confusion around how to create an online strategy that was simple and effective Doyle found a new passion – ‘The RIO Method’. It’s his system for taking control of the chaos business owners find their web strategies in, and re-organising it into a simple yet devastatingly effective structure which generates a flood of profitable new business. Doyle is also an engaging speaker who knows how to entertain an audience. He has entertained and educated audiences of all sizes, from small groups of business executives to groups with hundreds of entrepreneurs gathered for a power conference. Doyle also has more than a decade of direct business leadership experience, and he has seen wonderful things happen for businesses online as a result of his work – including creating improved profits and strengthening organizations, both online and off. Doyle Buehler is known as “The Digital CEO”, and helps businesses become Outrageously Outstanding Online. He is an author, entrepreneur, speaker and online business strategist. He connects leaders to digital. From several successful start-ups and retail franchise businesses in Canada, the United States, Europe and Australia, to helping other companies succeed with their ideas and strategies, he has spent over 14 years in the business world making things happen – both online and off. He is a Leading innovator in the online, ecommerce worlds, and at the intersections of entrepreneurship and digital innovation. His experience has been utilised in various global industries, including travel, insurance, pharmaceuticals, banking, investment, hospitality, finance, events and learning domains. 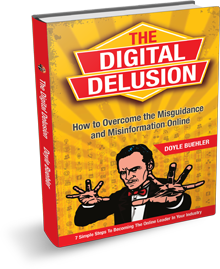 His newest book, “The Digital Delusion: How To Overcome The Misguidance and Misinformation Online”, discusses the reality of the online industry, and what business leaders can do to get beyond the clutter, confusion and distraction of the online world, to become a true digital leader. He now runs the world’s first “anti-agency”, The Digital Delusion, helping entrepreneurs and business leaders become less reliant on “guru’s”, and “experts”, and getting rid of the bullsh*t online, by empowering and enabling them to become accountable (& awesome) online. One of the online businesses that he started and led was named as “Profit Magazine’s Hot 50 Fastest Growing Company in Canada” in 2008, as well as the “Manitoba Business Magazine’s #1 Fastest Growing Company” for the state, in 2009. Doyle also has recently won the Smart 100 Innovation Award, meaning it is ranked as among Australia’s 100 most innovative products, with his digital leadership methodology. He is making waves online as well, with a new iTunes podcast, entitled “Breaking Digital”. He has a growing online learning community of over 2000 members where he teaches his digital leadership methodology. Doyle is regularly on the road, speaking about social media, digital marketing, and most everything about online business, and spreading the word about digital leadership.